Purchasing high ticket items does not need to be stressful. You can take advantage of the Fuel fitness warranty and set your mind at ease by simply filling out our parts and service request form. If by chance we discover any type of factory defect, Fuel has provided you with the most comprehensive warranty in the industry. You can request parts or service in your home. All you need to do is click on the Parts and Service Request Form, provide us with the information, and we will take care of the rest. All Fuel products are easy to assemble and can be completed with the help of the manual in about 45 minutes. Many of the pieces are wrapped separately for protective reasons for shipping. An Allen Wrench is included to assist you and a screwdriver is the only other tool necessary. Other than the basic tightening of screws all that needs to be done is attaching the cables that connect all of the electronics. The cable attachments are grouped into a wiring harness and go together as easy as plugging a phone into a phone jack. The owner's manual has step by step diagrams and the process is fool proof. Privacy of individual visitor data is of primary importance to Fuel. We work diligently to protect confidentiality, restrict transfer of personal data, incorporate technical safeguards and appropriate security policies, and identify privacy implications in new services. Legitimate websites pay to use SSL to encrypt transactions, thus making them Secure Sites. Fuel Fitness uses Thawte, the leader in SSL technology, for it's SSL certificates. This ensures the highest level of security when you place orders on-line. All personal information you provide during checkout is encrypted in transmission, preventing it from being seen by any third party. Fuel has created this privacy statement to demonstrate our firm commitment to privacy and confidentiality. The policies described in this section apply to www.fuelfitnessusa.com and are made available to make you aware of how we collect and use identifying information of visitors to our websites. From time to time, we may need to change our privacy statement because of changes in our business, or in our attempts to serve your needs better. We'll use reasonable efforts to publish any changes to our privacy statement. This site may contain links to other sites. Fuel is not responsible for the privacy practices or the content of such linked websites. Please submit your RMA request information below. All orders will leave our warehouse within 2 to 4 business days unless notified otherwise. Once shipped the product is usually in transit roughly 6 business days depending on your exact location. The first type is "Residential Delivery". This type of delivery is offered free with the purchase of all FUEL equipment. 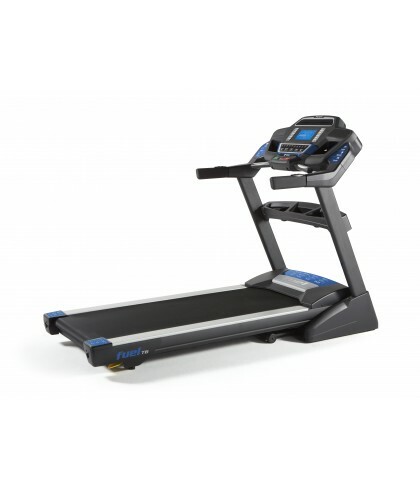 Your treadmill/elliptical will be shipped to you via one of our freight partners and a pro number (tracking number) will be emailed to you upon shipment of your treadmill/elliptical. You can track your shipment using the pro number on the website of the freight carrier. The freight terminal in your area will call prior to any delivery to schedule a delivery time that works for everyone. We recommend this type of delivery if you have family or friends that can assist you. The driver will back the truck up as far as they safely can, and remove the product, but this may be at the end of the driveway. Once the treadmills or ellipticals are broken out of the box, they can be easily rolled or carried inside your home. All orders will ship within 2 to 4 business days unless notified otherwise. Once shipped the product is usually in transit about 5 days depending on your exact location. The second type of shipping is "Ground Inside Delivery". This type of delivery is an additional charge of $99. With this service the freight company will arrange a delivery time convenient for you, arrive at your home with a lift gate truck and remove the box from the truck. They will then deliver the box inside your home to the room of your choice. If you need the treadmill or elliptical delivered and assembled please refer to "Turn Key" below. We don't recommend Turn Key delivery as an option for most as the assembly process is quite basic. The last type of delivery is "Turn Key Delivery". This type of delivery is an additional charge of $239.00. With this service we will arrange to have the treadmill or elliptical delivered inside to the room of your choice and assembled. They will additionally take any debris and boxes to the refuse area on site. All orders will ship within 2 to 4 business days unless notified otherwise. Once shipped the product is usually in transit about 5 days depending on your exact location. Once the product arrives at the freight terminal near you please allow up to another 5 business days for the Turn Key delivery to be arranged and facilitated. Unfortunately we do not ship to Alaska and Hawaii. Free shipping is not included on any items exclusively sold at other stores. To Process a replacement or return, please fill out the short form located at this link. Return Request. Once submitted, you will receive a confirmation of your request with instructions on how to proceed within 24-48 business hours. If a replacement or return is needed, due to damage, defect or buyers remorse, the machine will be picked up and delivered/removed with the same delivery option chosen during checkout. You can choose to upgrade your shipping option at the full cost listed on our shipping page. 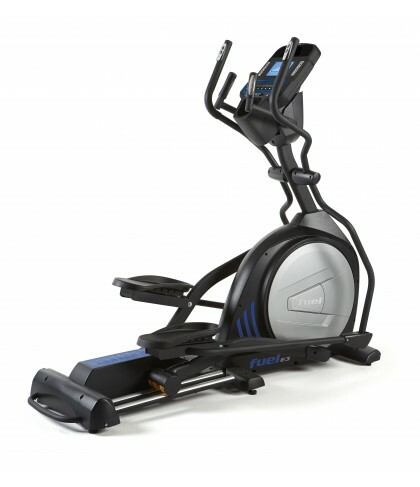 We at FUEL understand that buying a treadmill or elliptical sight unseen can be unnerving. To help alleviate any concern and give you 100% confidence that we do in fact make the best treadmills and ellipticals available, FUEL offers an unprecedented 30 day trial period on all of our equipment. If you are not completely satisfied with your product we will refund your purchase amount and freight charges both ways, no questions asked. All the customer is responsible to pay is an 8% restocking fee within the 30 day trial period. * FUEL requires that you keep the packaging to facilitate a return if necessary. All returns will need a Return Merchandise Authorization (RMA) number. Any returns that arrive back to FUEL without an RMA will be refused. All RMA numbers must be requested within the 30 day window, from time of delivery. To obtain a Return Merchandise Authorization (RMA), contact FUEL Fitness at 1-866-780-7653. We will credit your purchase immediately upon receipt of the returned item with an RMA. * Refused shipments and products being returned without the original packaging are subject to a 15% restocking fee and freight charges. Customers will additionally be responsible for any freight damage if not properly packaged. 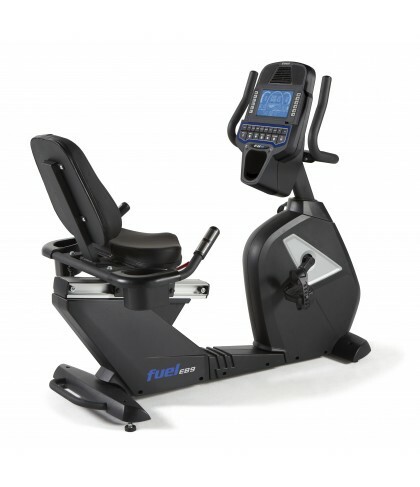 * FUEL Fitness will credit back freight charges only and will not credit back fees that were paid to deliver the treadmill or elliptical into your home or any assembly fees that may have been paid to a third party. FUEL Fitness is not responsible for any disassembly or removal of the product from the home. The customer is responsible for the repackaging of the treadmill or elliptical and removal from the home in the original packaging. FUEL is only obligated to pick up products being returned from your driveway, garage, curbside, etc. * FUEL Fitness reserves the option to repair or replace the defective product with a product of equal or better features and functionality. A replacement part or product may be new or refurbished. While we try to complete service as quickly as possible, we are not responsible for delays caused by factors beyond our control, including but not limited to manufacturing delays, delays caused from shipment of parts to a service facility or acts of God. * Cancellations. If an item is cancelled before it ships, a full refund will be issued to the customer of all charges. However, if the item has already left our facility, and is in transit, the customer will be charged a non refundable 8% re-stocking fee. Even if you don't have a tracking number yet, it's still possible that your item was physically shipped from our warehouse, and the 8% re-stocking fee will still apply. To process a replacement or return, please fill out the short form located at the bottom of this page. Once submitted, you will receive a confirmation of your request with instructions on how to proceed within 24-48 business hours. If a replacement or return is needed, due to damage, defect or buyers remorse, the machine will be picked up and delivered/removed with the same delivery option chosen during checkout through FUEL. If purchased through any other retailer, the replacement or return will be curbside service only.